When I was in the corporate world my morning routine was essential to my well being, now while in the creative sphere that morning routine I established in my late twenties is becoming crucial to starting my day and putting me in the right headspace for that day. I know that not everything on this list can be accomplished daily but man oh man when I hit nearly everything if not everything I feel like my day can not be toppled. When I go to bed super late and have an early morning I'm super grumpy and slow to get going. It in a way ruins my morning and leaves my energy level low and not quite ready to have a productive day. I don't know about you but nothing wakes me up more than a good early morning workout. Most gyms and studios open early for the early risers that are ready to get their days going. For me most early mornings I make it to the gym I head for sculpt classes to not only get the yoga stretch but to pump some iron. It literally only takes a couple of minutes and you can use a guided app or you can just take five minutes to breathe before you start your day. This one I recently added after I started practicing the Unblocked Reparent by Lacy Phillips. 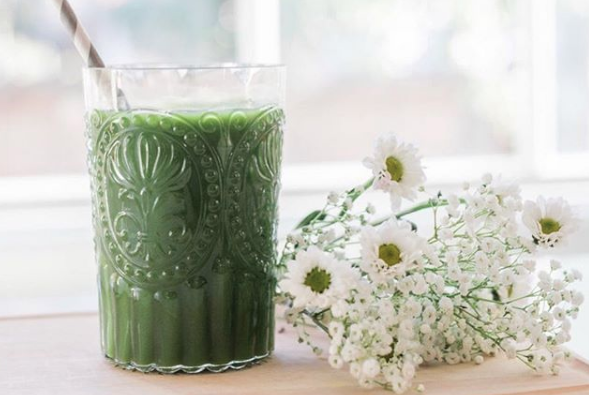 Whether you can swing back by your house or have a smoothie or green juice on your way to the gym getting your greens early in the morning helps to fill your body with nutrients and boost your energy levels through out the day. Drinking your greens will also make you glow, and who doesn't love a good glow all day long? You don't have to incorporate all of these, or any, but just one can really get your day going in an elevated direction.